Zurich University of the Arts ZHdK em. With the opening of the NEAT in 2016 the longest alpine tunnel in the world (57km) will be put into operation. 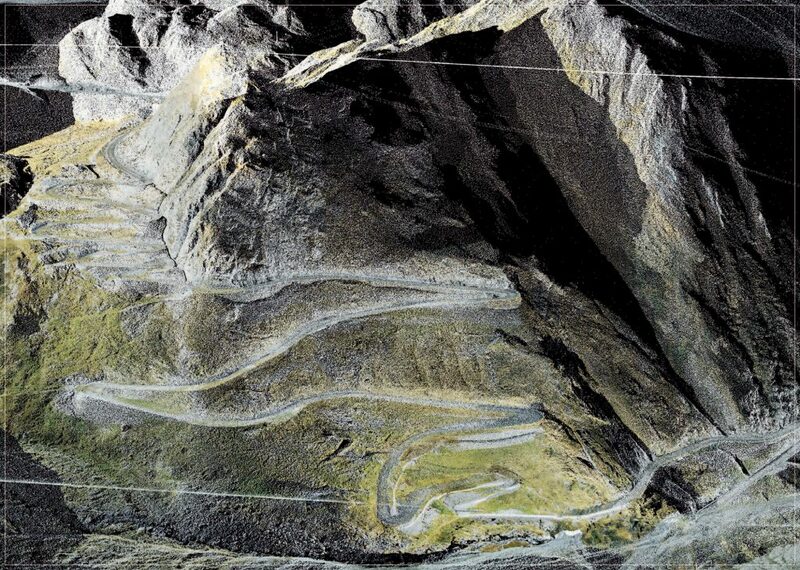 Since early history, the St. Gotthard Range has always been understood as the heart of the Alps. But, with this new underground rail transect, the entire mountain range with its existing infrastructure, will be made for the most part obsolete – it will be replaced with a high velocity utopian space mentally fi lled with projections, projects and innovations. The landscape will thus be split into two realms, a visible world above and an imaginary one below. 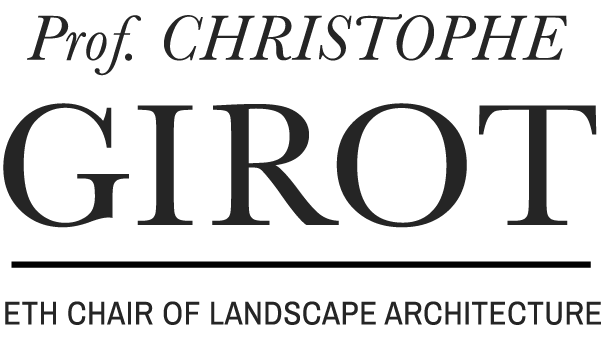 Our project deals with the passage from a factual and territorial oriented tradition in the Alps, towards a virtual territorial principle based on a scientifi c appropriation of the landscape. Our own landscape vision of the Alps is thus dematerializing and acquiring the visual character of an interactive digital sculpture. The established two dimensional modes of representation of alpine topography are replaced here by a 3D computer generated point cloud topology of immense precision. A completely new understanding of each locality dawns upon us. Through such interactivity it becomes also a working instrument capable of producing cross sections of any topographic reality. The transparency and «liquefaction» of territorial reality through point cloud digitalization invites us to a completely new way of seeing. Its virtual character the diaphanous «technical» colouring of the topological surface provokes an uncommon aesthetic and magic fascination. At the same time, an inventory of the Gotthard infrastructure will include (railway infrastructure, waterways and dams, public and private traffi c roads, skilifts, etc…). 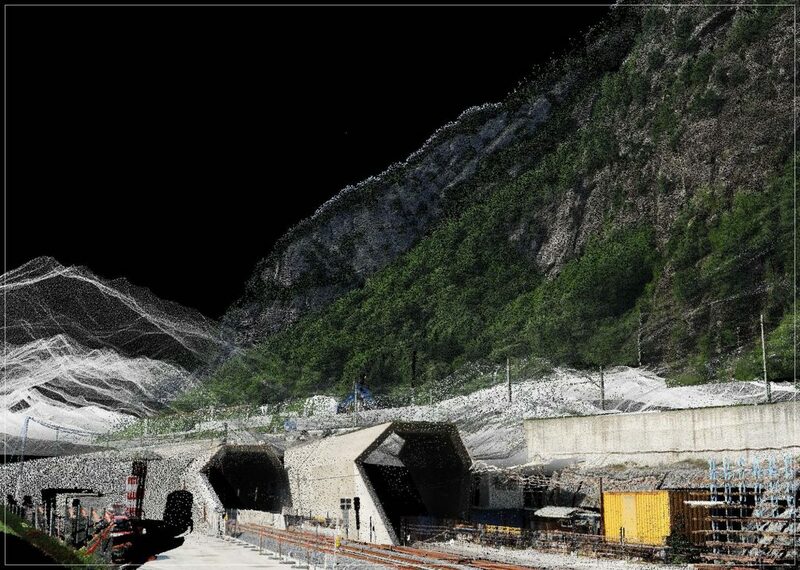 These will be shown through abstract graphic structures, sections, overlays and triangulations projected directly on a 3D model of the Gotthard. Point cloud section in Goeschenen cutting through the old train and road bridges. 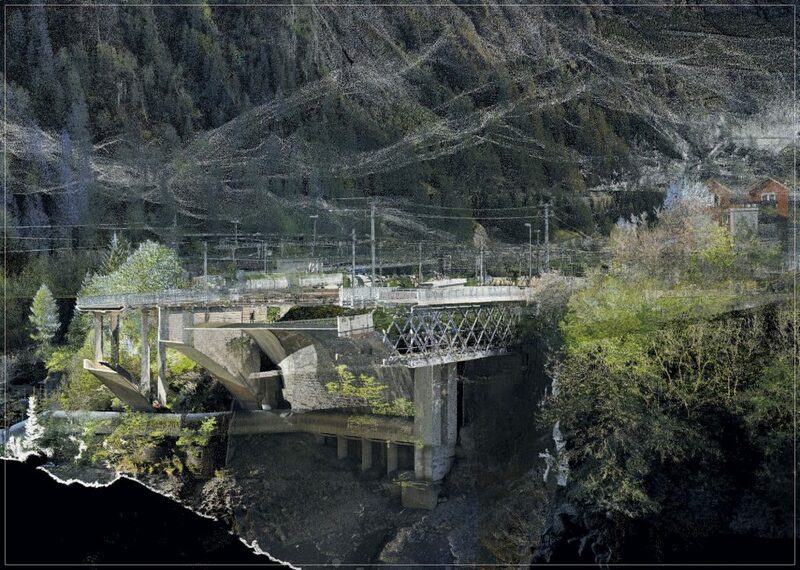 Bird’s eye view of a point cloud model showing the pass road at the Devil’s Bridge with the Gotthard highway tunnel in the background. 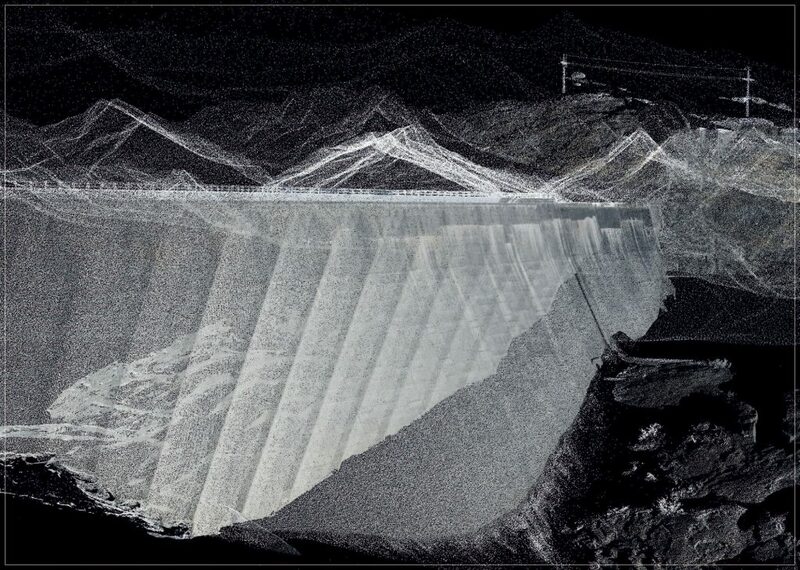 Point cloud model of the Lucendro Dam on the Gotthard Pass showing both the inner tectonics of the structure as well as the outer surface. 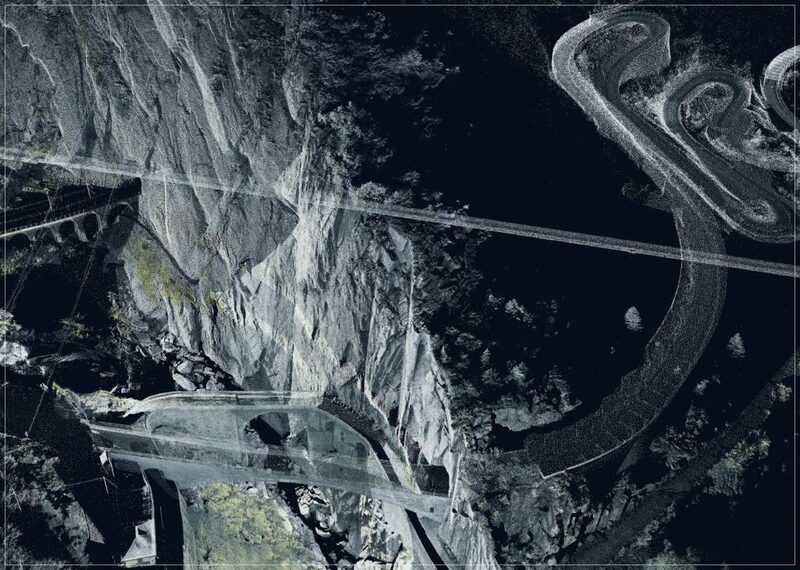 Suspended point cloud view of the old winding Tremola road with the lines of the Gotthard Highway and the AlpTransit tunnels in the background. 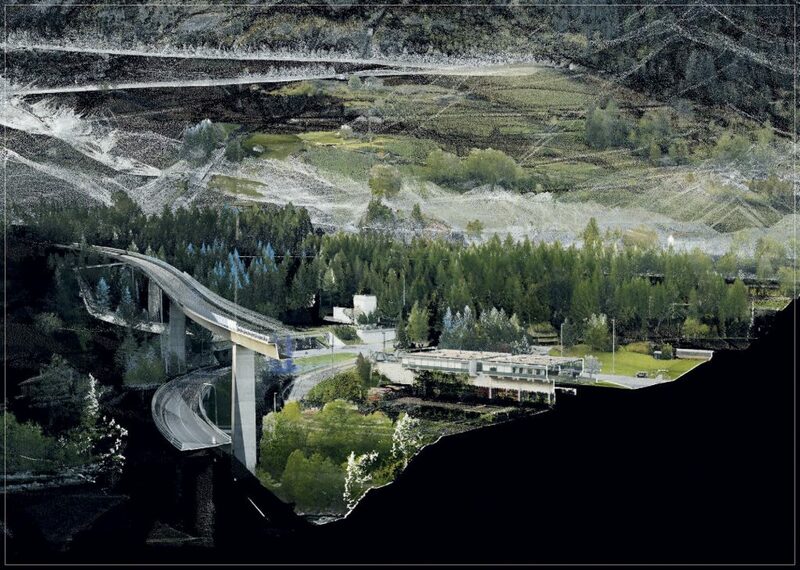 Point cloud section cutting through the highway infrastructure and the pronounced natural terrain in Airolo. 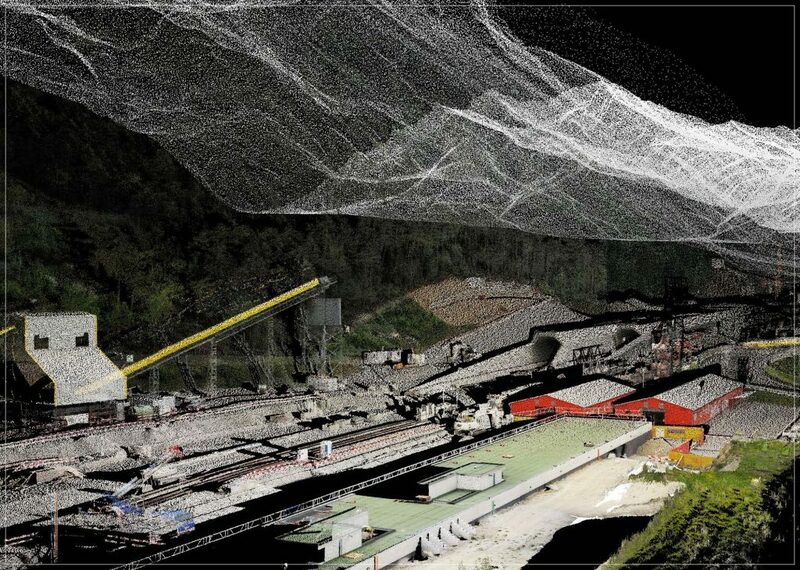 Point cloud model detail of the new AlpTransit high-speed train tunnel entrance in Bodio.